Pennzoil's ad has always been a joy to watch with its great photography and editing. Here's their latest ad featuring the mad Dodge Challenger SRT Demon. 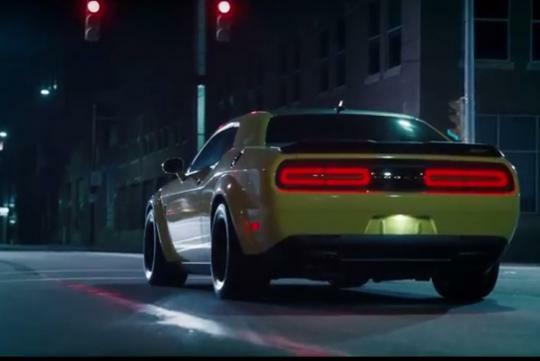 Released on YouTube, the clip showcases the 840bhp yellow Demon powersliding through the streets of Pittsburgh, with the driver barely in control. Those that are into drifting might be pleased to know that professional drifter Rhys Millen is the one piloting the car in the clip. For those that have not heard of this American muscle, it is actually the world’s most accelerative production car to 100km/h with a timing of 2.3 seconds. It is also the world's fastest-ever production car over the quarter mile and the world's first production car to fully lift its front wheels while accelerating. And no known police cars in SG can catch it.